So, you may remember last month’s post on the importance of reconnection. Well, I finally finished Hari’s book, Lost Connections, and I’m STILL obsessed. While reading this book brought on many emotions–moving, eye-opening, frustrating–it was mostly inspiring. I am left with a strong desire to continue my journey of sharing strategies for connection, both socially and within ourselves. Stronger than ever is my enthusiasm for helping others reconnect with themselves, their community, and their humanity. Of course, a good teacher is always learning herself, and I am no exception. I continue to search my own soul for ways to help take care of myself better… and there is always room for improvement. I recently shared on Instagram my personal resolution to daily face washing and teeth brushing, but I didn’t tell the whole story. As a new mom, I was really good at not prioritizing myself. I would skip meals (or make do with the discarded remains of my children’s snacks) and wasn’t getting enough sleep. I often showered only a couple times a week and started only brushing my teeth before important social gatherings. Daily self care took a back seat to surviving. Over the years, I made improvements in both sleep and food. As the kids got older, sleeping through the night became more the norm (though keeping to a regular schedule and implementing my own evening bedtime routine helped as well). I rekindled a love of cooking and baking, focusing on providing nourishing meals and snacks for the whole family, myself included. 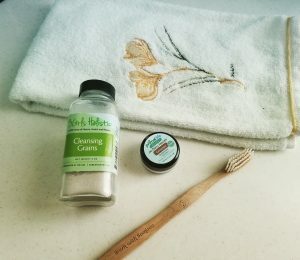 But, the other day, as I lectured my 6-year-old on the importance of regular bathing and daily teeth brushing, I realized I wasn’t following my own rules–at least not when it came to skin and oral care. Initially I felt guilty, and my internal monologue became one of self-critique and shame; but after tuning in to the truth, I realized those feeling of guilt and shame were only a cover for the sadness that comes from not feeling valued. 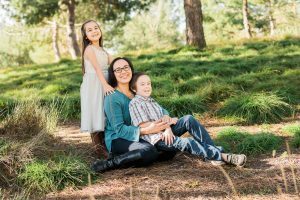 By not holding myself to the same rules as my daughter, I was unconsciously sending myself the message that I don’t matter as much as she does–and that felt awful. The next day, I made a conscious choice to do better. For myself, because I DO matter. I made a resolution to make sure I wash my face and brush my teeth every day. While this may not seem like much, it is a big deal for me. Over the years, I’ve let my own personal hygiene suffer in favor of taking care of the kids, not really aware of the message I was sending, to them and myself. So here’s to healthier skin and teeth. Here’s to taking better care of myself, not just so they can see what adult self-care looks like, but because I deserve to feel cared for. So what does this have to do with May? Well, as I noticed all the Mother’s Day marketing in stores lately, I was reminded that not everyone feels loved by receiving gifts. And whatever your love language, one of the most loving and empowering acts of all is the act of self care. But what does that look like? Most of us didn’t grow up with good models for putting one’s self first, especially when it comes to motherhood. Being a mother doesn’t need to mean self-sacrifice. The truth is, most mothers instinctively know what it means to care for someone in a loving way because we do it for our children every day. The trick is learning to shift the focus, so that same care and love is directed at ourselves, too. While the idea may seem simple, it’s execution is anything but. I know from personal experience. It does get easier with practice, and I’d like to help. This is why I’ve dedicated all my classes during the month of May to the practice of self care. Join me as I offer guidance for tuning into your true self and discovering what your heart is longing for… from YOU. As always, my Saturday Connecting Within Meditation class is donation-based, meaning you pay what you can afford and no one is turned away for lack of payment. I hope to see you there!